Mr. Keetch leads the Cantey Hanger Construction Law practice group. 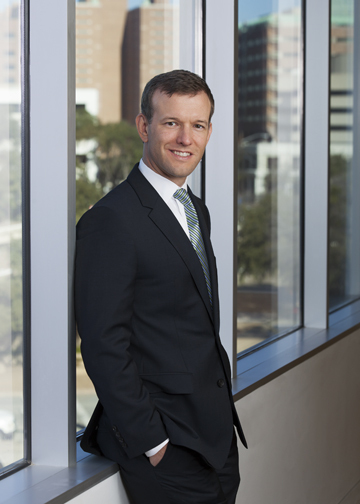 He came to Cantey Hanger in 1995, after his graduation from the Texas Tech University School of Law. He has worked both in the Dallas office of Cantey Hanger and in the Ft. Worth office. His primary area of focus is civil litigation. Texas Tech University School of Law, Lubbock, TX, 1995, J.D. Mr. Keetch has significant experience in litigation involving engineering and design professionals, construction litigation, professional liability, insurance litigation, medical malpractice defense, multi-district and complex litigation, and general commercial litigation (Deceptive Trade Practices, contract disputes, real estate disputes and enforcement of judgments). His construction practice also includes drafting and negotiating construction contracts on projects of all sizes. Mr. Keetch also works with clients in the entertainment industry. Mr. Keetch is a strong proponent of the intelligent use of courtroom technology. In his spare time, Mr. Keetch works with training his Labrador Retrievers, and enjoys duck hunting.